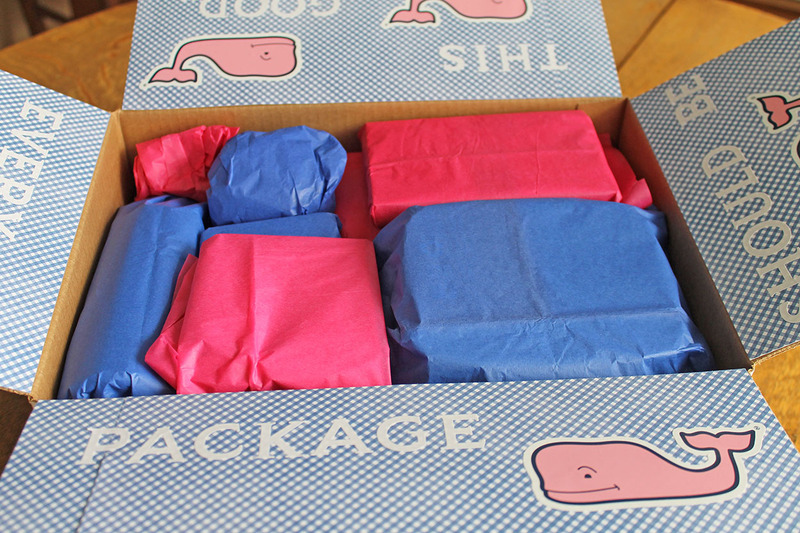 With my oldest daughter off to college, I find myself sending care packages to her about once a week…after all, being a college freshman can be a big adjustment at first! 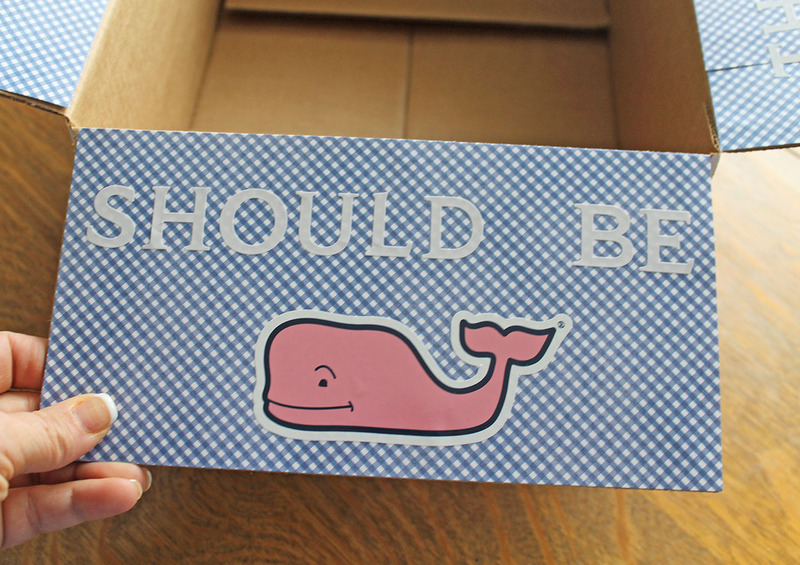 And receiving a box filled with goodies in the mail can brighten anyone’s day! 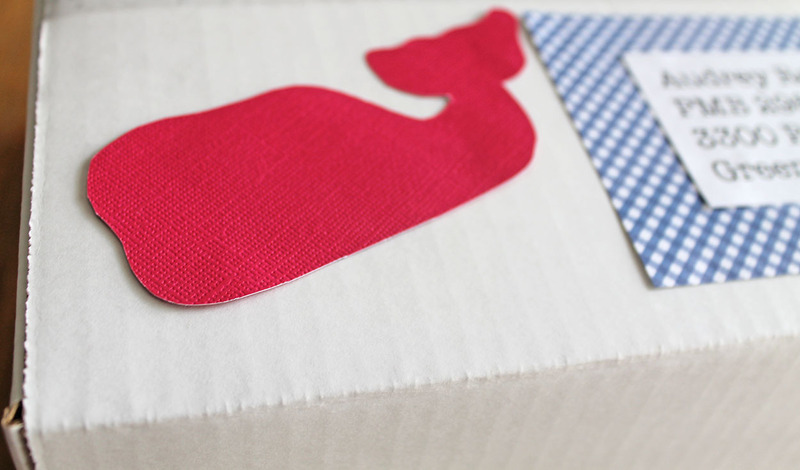 I had some fun assembling her latest care package, and I thought I’d share it today…since hopefully, she has received it by now and I won’t spoil the surprise! 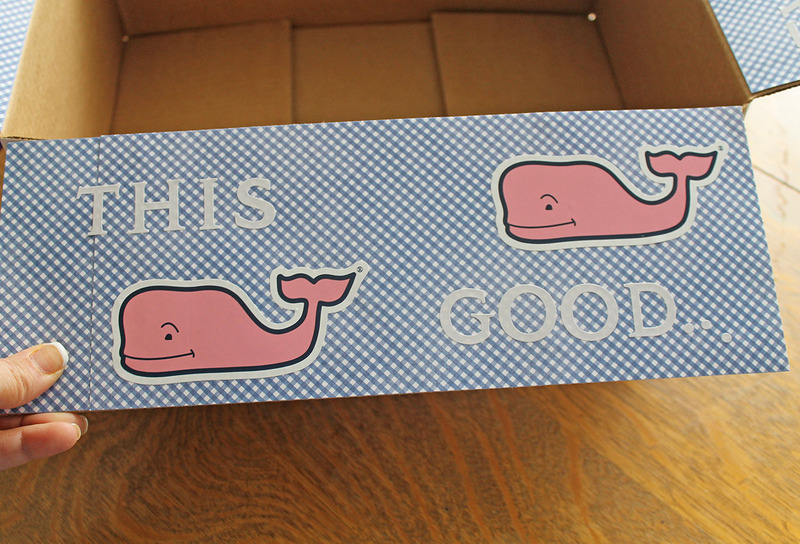 Most teenagers and college kids enjoy the preppy clothing sold at Vineyard Vines. 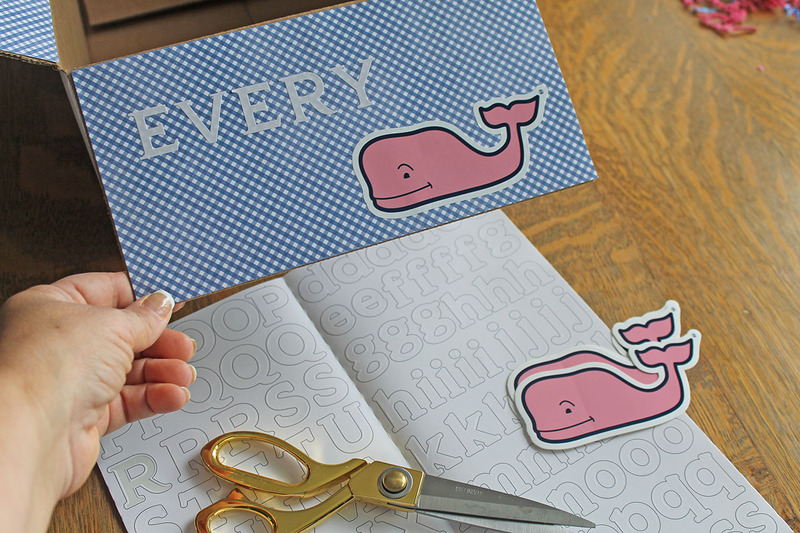 You know that store…the one with the pink whale emblem and the “every day should feel this good” slogan. It is one of my daughter’s favorite places to shop! 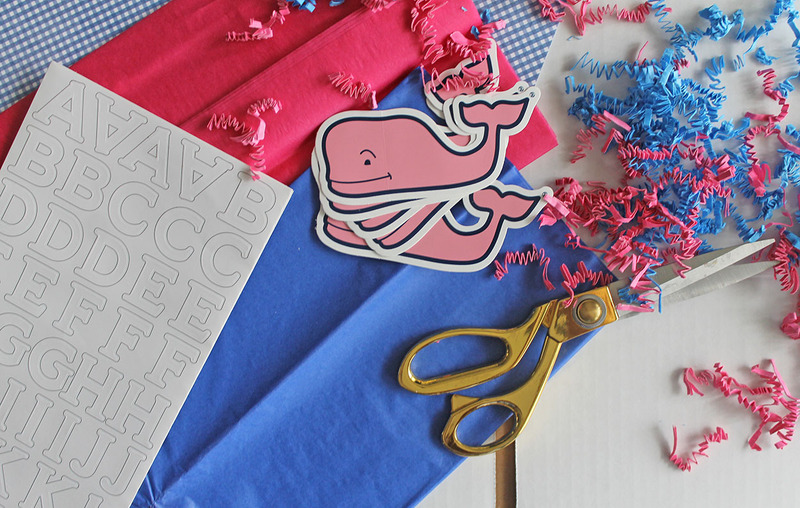 With a few simple supplies…white alphabet stickers, blue gingham checked paper, glue dots, pink and blue tissue paper, shredded paper (pink, blue, and white), and the Vineyard Vines pink whale stickers…I was able to create a fun box in which to place some goodies. 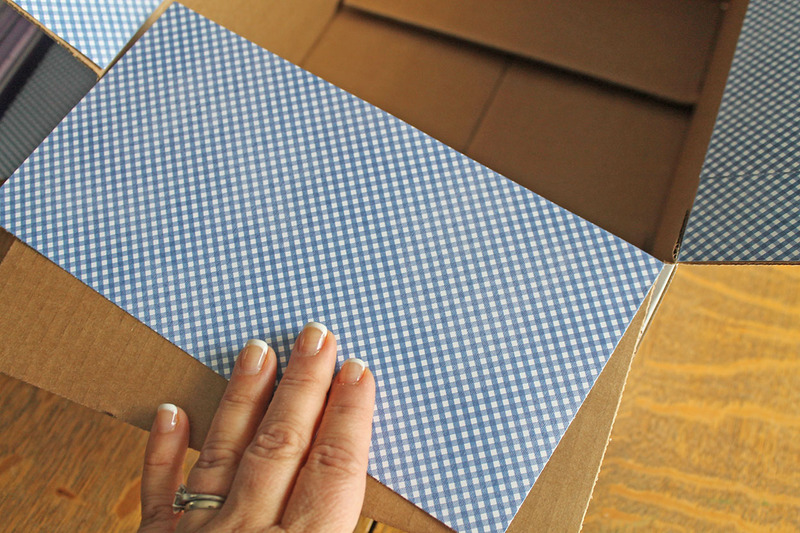 First, I cut the blue checked paper to the size of the top flaps of the box. I adhered the paper to the four sides of the box top with the glue dots. 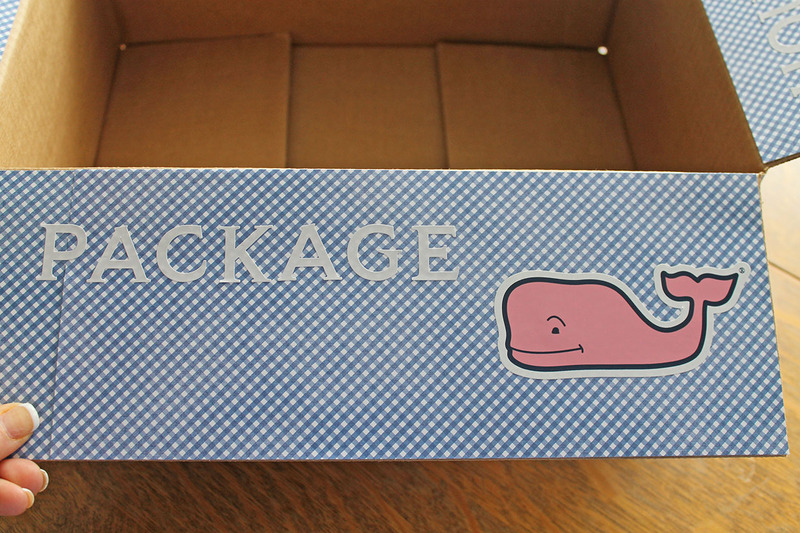 Then I added the whale stickers to each side of the box. Adorable, right? Now it’s time to fill the box! 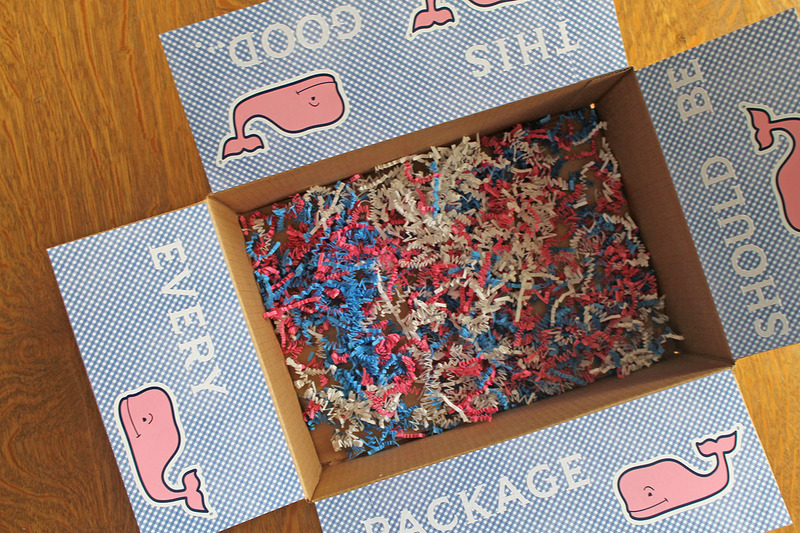 Place some of the shredded paper in the bottom of the box. 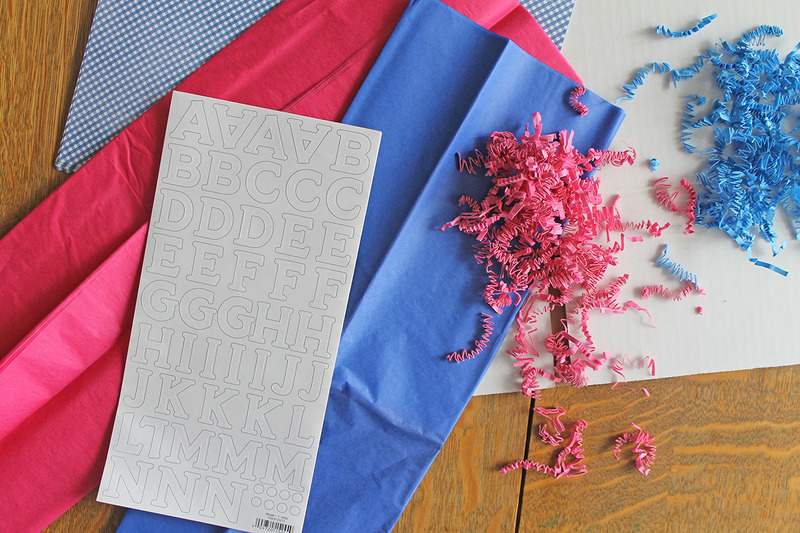 Then wrap the contents of the box in the tissue paper and pack it neatly inside. 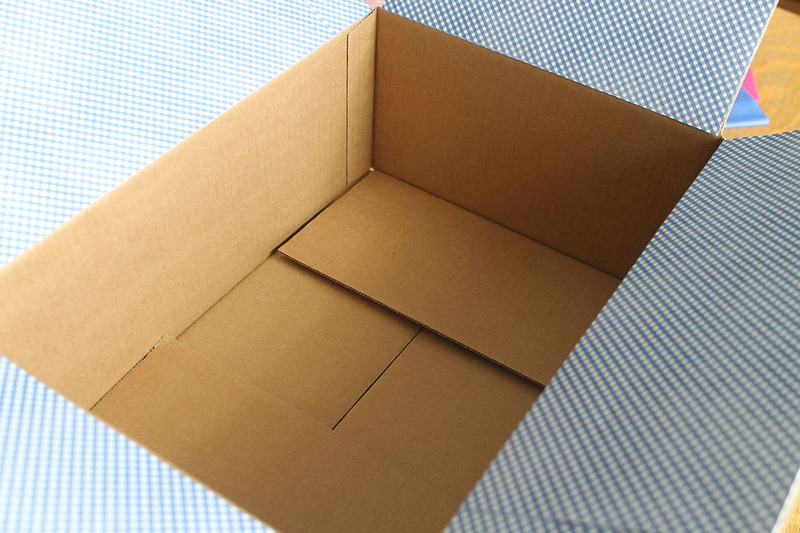 Add some more shredded paper on top, and you are ready to seal the box with packaging tape. 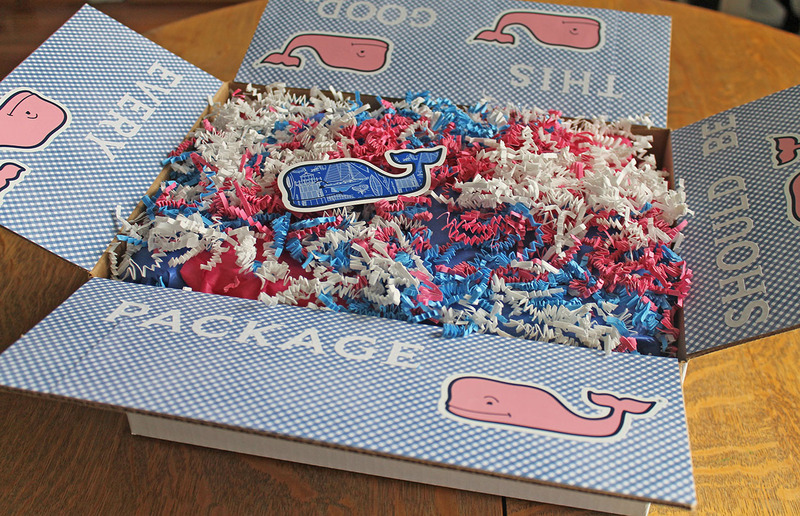 I added a bit more of that blue gingham paper and a pink card stock whale to the outside of the box for more whimsy. I wish I could be there to see her open it! I’m sure she will enjoy the contents of the box, and hopefully the box itself! 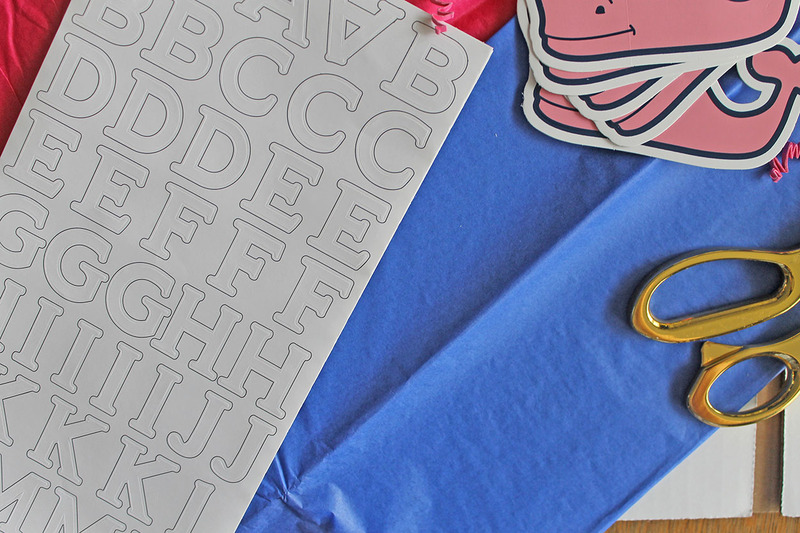 Thank you…thinking of something creative for an October/ Halloween package! My mom used to send me the best packages when I was at school! This is so sweet! Thank you! I’m sure your mom enjoyed doing that for you.